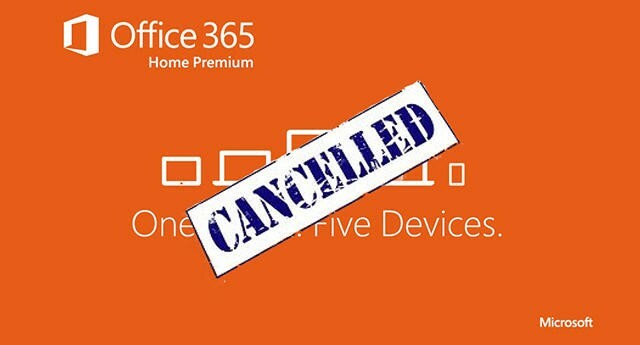 Office 365 Home Premium: When Subscriptions Expire, What Happens to The Docs? Microsoft's new Office 365 subscription service could be a contender. It has more features, more access to more applications, and more perks, but at less money to start than its Office 2013 product suite. So appealing are 365's price points and features that the choice between the two should be a no-brainer…except for one pesky little concern: What happens to your data if you let your account lapse? That's a valid question, and it's one you should ask before diving into any subscription-based service. And since you'll likely be using this as your primary productivity tool, there's genuine reason to be concerned. You don't want to be permanently locked out of important work projects, research papers or chapters for your great American novel just because your subscription expired, do you? Rest easy, would-be user. You'll be happy to note that, if you should end your Office 365 subscription, those files aren't lost to you forever. If you decide not to renew your subscription, your software programs will still be active until the specified expiration date. As the date approaches, you'll get reminder notifications within Office 365 apps and by email, so you'll have time to procure another editing solution. But even if you blow the deadline, you'll still have a grace period that allows for read/print access using Office 365. What you can't do is make changes or save those specific files (or create new ones) using those applications. However — and this a biggie — you do have other choices. You can still use other/older versions of Office for editing, access files with another compatible program or, if your editing needs are basic, use Office Web Apps on SkyDrive for free. (It's also a cloud service, after all.) And any files saved in SkyDrive can still be downloaded for use with someone else's computer and compatible applications. Of course, the easiest thing to do is to just re-activate your Office 365 subscription, which is what Microsoft would like you to do. But if you don't, at least it doesn't hold your documents hostage until you pay up.